Valentine's Day is just a couple of days away and couples are presumably planning for their date with their significant others. However, if you are single and still looking for a perfect date then here's some help. We have listed five interesting dating apps for all the singles out there which will help them to mingle and enjoy Valentine's Day. Here is the list of 5 valentine apps to make your day special. TrulyMadly TrulyMadly is one of the best dating and matchmaking app designed for Indian users. The app claims to specialise in bringing together like-minded people with similar interests and preferences. Users can go through all the available profiles to find the one they like, then they can also take compatibility quiz and can also add photos and videos to their profile. The app also claims that the photos and videos are completely safe and no one can download or take screenshot of them. You can also chat with different people using the app without revealing your phone number. Tinder Tinder is one of the most popular dating app available right now. You just have to swipe right if you like a person and can soon start chatting with them and plan your date if you like. In case you don't like a person then you can swipe left and the profile will never be shown to you. Moreover, users can also verify the authentication of others present on the app via Facebook. Woo The dating app, Woo, promises to connect you with interesting people, which it shortlists on the basis of your interests and lifestyle. The app offers verified profiles so that there is no problem with the security of the user. Same as Tinder, you can swipe right if you like a profile and left if you don't like one. The app also has a private chatroom where you can chat with your date without revealing your contact number. Hitch Another dating app available for the singles out there is Hitch. It helps you to meet and connect with different people. The app description reads, "Hitch Dating gives you the capability of checking in and meeting other singles that check-in at the same location! Meet that someone special and make a real connection." This app allow singles available at the same location to connect with each other. 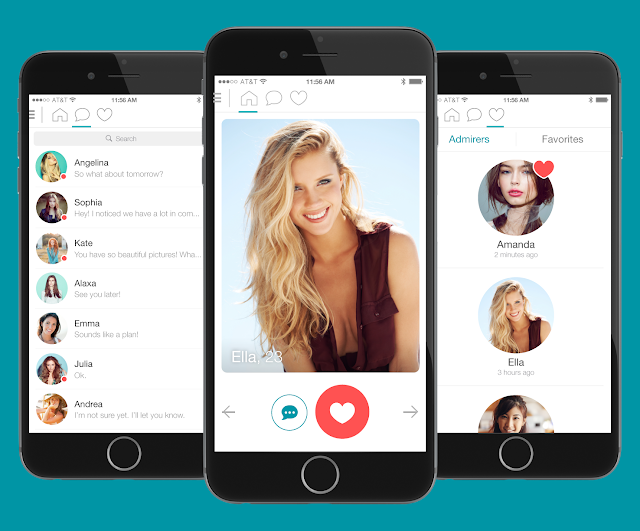 Hot or not Last on our list is the dating app which also doubles up as an interesting game. Hot or not is an easy and engaging game which will enable you to find out the hottest people around you. All you need to do is sign-in using Facebook with some of the good pictures and start playing the game. The app will also ask for your mobile number and the permission to read and send messages from people around the globe. This is done to authenticate the user. So, find your hottest partner this Valentine's Day and go on a hot date.